Numerous Lisp-based musical systems have been developed and used in the past. However, Lisp usage has been progressively discontinued with the development of new branches in mainstream computer music such as digital signal processing, real-time systems or distributed multimedia computing. 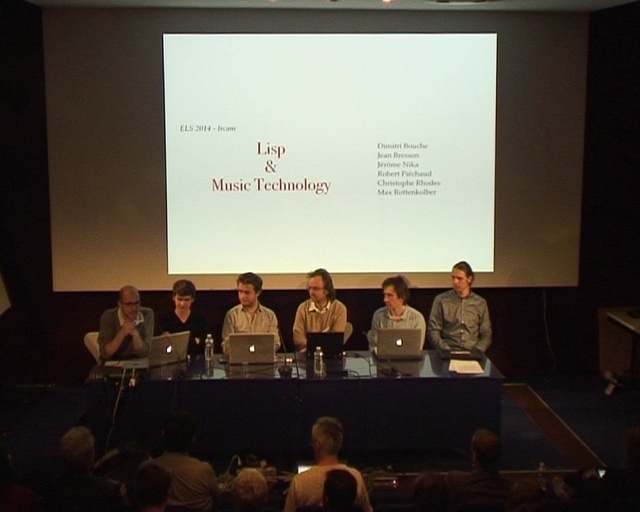 The power and expressivity of Lisp make it a valuable language to musicians for exploring high-level compositional processes, and this language remains a fundamental support for computer-aided composition research and creation at Ircam. In this session we propose to present an overview of current computer-aided music composition projects, and discuss with ELS attendees the challenges, issues and perspectives for using Lisp in aforementioned music technologies.